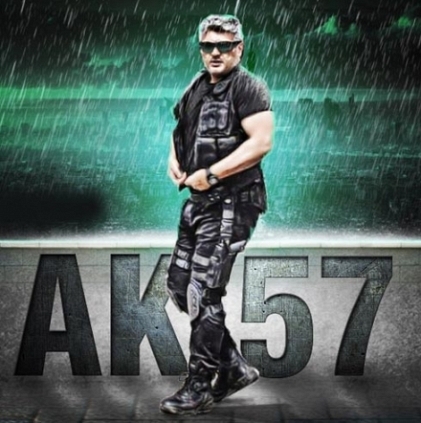 EXCLUSIVE: THALA 57 SHOOTING RESUMES! Apparently, the second schedule of Thala Ajith’s upcoming untitled film directed by Siva began in Hyderabad at the famous Ramoji Rao film city yesterday (10th of October). We hear that this schedule is likely to go on for another 2 to 3 weeks. It is said that 25% of the film is completed till now and 90 days of shoot is still left. Supposedly the team is planning for a May 2017 release. We are told that there have been talks with some of the popular stars in India to play Ajith’s baddie in the film but the lead villain role is still not finalized.